HRANA News Agency – By revealing the fate of the other two prisoners who were transferred to solitary confinements and verification of their death sentences, the number of executed prisoners on September 28 in Karaj rose to 11. Accordingly, the three others prisoners of 14 prisoners who had been transferred to solitary confinements returned to their wards by the deadline or consent of the next of kin. 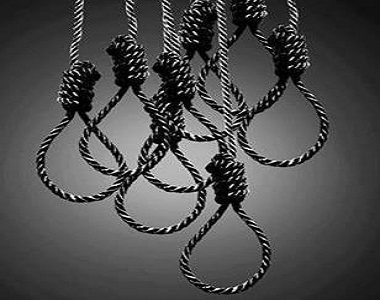 According to the report of Human Rights Activists News Agency (HRANA), by the approval of the execution of two other prisoners, the number of executed prisoners in Rajai Shahr prison in Karaj rose to 11. “Farajollah Hatami” from ward 2 (Daralqran) and “Mohammad Jafari” from ward 6, both charged with murder, are the two other prisoners who have been executed. According to the report, three others of the 14 prisoners who had been transferred to solitary confinements, returned to their wards by the deadline or consent of the next of kin. The identity of one of the prisoners, has been announced as “Fariborz Azizipour” from ward two (Daralqran). Twelve prisoners on charge of murder and robbery were transferred to solitary confinements in Rajai Shahr prison on September 22. Mehdi Nazari and Aliasghar Jahantigh, two prisoners with drug-related charges respectively on Sunday and Tuesday had been transferred from Rajai Shahr prison in Karaj and Ghezelhesar prison to Khorin prison in Varamin because their hearing was held in Pakdasht, but for unknown reasons, they were transferred to Rajai Shahr prison overnight, and their death sentences were carried out with 9 other prisoners.